As technology evolves, more and more companies are starting to move their phone systems to a cloud-based solution. There are countless benefits of a cloud-hosted PBX phone system, but first, before we discuss this, let’s understand the terminology. A PBX stands for private branch exchange. You can think of this as an internal switchboard that connects your phone to the rest of the company’s phones and to external phones (outside of your company). Traditionally, this meant that your phone had to be physically connected (through a wire) to this switchboard (PBX) and then physically connected to the PSTN (Public Switched Telephone Network) which would route your call to the intended person. Because of the elimination of the need for phones to be physically wired to the PBX, this reduces expenses dramatically. As long as your building is wired up with Cat 5e, there is no need for complex (and expensive) infrastructure updates to change phone systems. Cloud hosted PBX’s are serviceable off-site, so you will not need to wait for a technician to come on-site to repair your system which will reduce downtime & repair expenses. Cloud hosted PBX’s are perfect for growing businesses. Adding extensions, phone lines and connecting to mobile devices take significantly less time than the “old style” phone systems. On a hosted solution, your phone system provider can easily add these without needing to be on site. Adding on another location? 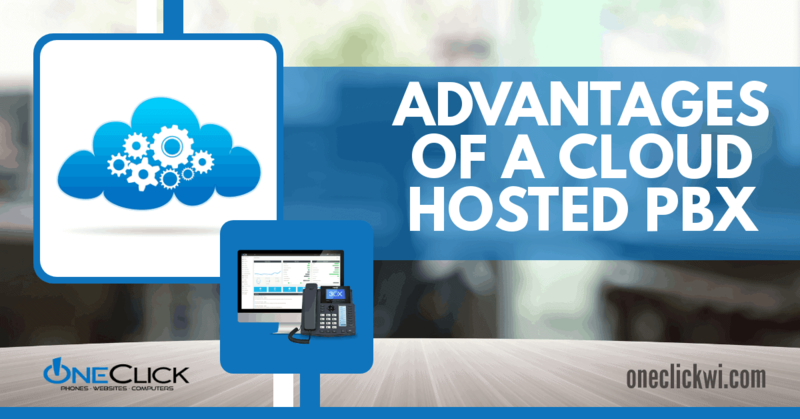 You can host all your locations from one PBX! This allows you to be able to transfer calls from location to location seamlessly and easily. Moved locations? Phones can be moved with minimal configuration, reducing your moving costs and making relocation a little less stressful. Unlike the older phone systems, your phone system provider can perform maintenance off-site and typically won’t need to take your system offline to do these maintenance tasks. This can help reduce your I.T. costs and minimize the downtime you will experience during routine maintenance. Features that seemed unattainable with traditional PBX systems are easily added with hosted PBX systems. Auto-attendant, call groups, call screening, voicemail to email, busy lamp fields and more are easily configurable and easy to change with a hosted solution. With hosted PBX systems, an admin can also log into the system using their internet browser and view call history, listen into conversations and even “whisper” to someone in a conversation to help coach them during a call. We have heard nightmare situations with traditional PBX systems where the system is down for days while the company is waiting for their phone system company to fix the issue. With hosted PBX, in the rare case that you do have an issue, fixes can be implemented very quickly by your off-site phone provider. Cloud-based PBX phone systems also offer geographic redundancy – if something should happen to the server your phone system is on, the system is automatically connected to another server – reducing downtime tremendously. In the case of a natural disaster or internet outage, a cloud-based PBX system can route phone calls to someone’s cell phone which will reduce the amount of missed calls compared to a traditional system. If your traditional system is down due to a natural disaster, calls will not be able to go through until an on-site technician fixes the issue. This could take days to get your phone system back up and can affect your bottom line. Interested in the benefits of a hosted PBX system? Contact your Business Account Executive or learn more here! Should you Have an MSP or Hire In House? A survey from Deloitte’s 2016-2017 Global CIO survey states that on average, businesses spend about 3.28% of their revenue per year on I.T. expenses with banks being the highest, at 7.16% and construction being the lowest, at 1.51% and 57% of high performing companies (companies that consistently outperformed the S&P) increased their I.T. budgets from 2016-2017. MSP’s have a client base that runs into a variety of I.T. challenges. The techs supporting these clients will learn how to overcome them and how to prevent them in the future. Techs do not like fixing the same issue over and over again, so they will apply what they have learned to all of their clients. An in-house I.T. professional doesn’t have the exposure the MSP has, so when they do run into an issue, the fix might take longer as they learn to work through the problem. The goal of an MSP is to provide a service that is hands-off for the client with minimal intervention from the techs – and newer, better systems make this happen. Because of their exposure to different environments and I.T. challenges, an MSP will try to stay ahead of the curve in terms of virus protection, backups & new technology to keep downtime at a minimum. Although an in-house I.T. professional knows your system very well, they may not have the foresight to make upgrades to protect against new security vulnerabilities or know when the system needs to be replaced with newer technology to keep your data safe. In I.T., the phrase “two heads are better than one” certainly applies. If your company runs into a complex I.T. issue, your MSP will likely have multiple techs on staff to bounce ideas off of each other to get the job done which results in a sound resolution and a quick turnaround. With an in-house technician, they might not have someone to help them through complex issues, get stuck, and ultimately cause more downtime for your business. They might also call an I.T. company for consulting which can become costly. MSP’s are less expensive than an in-house I.T. If you run into an issue, it’s typically not the first time an MSP tech has seen this problem – they will be able to fix this quicker than an in-house I.T. professional can. Because of their exposure to a variety of environments, MSP’s know when to upgrade systems and are exposed to new technology to make systems run better – an in-house I.T. might not have that foresight due to their limited exposure. MSP’s have teams of techs that can help resolve an issue quickly – an in-house I.T. might not have the resources to do so which can result in more downtime for your business. Not sure what you need? We’d be happy to learn more about your business and discuss your needs. Contact us today! A marketer’s worst nightmare is when they send traffic and potential leads to a website but their client is not receiving the forms that are filled out. We have run into this issue a few years ago. Short of asking our clients “hey did you receive this lead” after ever form fill-out, we didn’t always know if our clients received the leads coming in. Now, thanks to SendGrid, we can be confident leads are going to our clients’ inboxes! If you aren’t a web developer, feel free to send this email over to your developer and they can set this up for you! Test the email by sending it to yoruself. Once you have confirmed you can receive emails, you’re all set! Want to make sure your emails are coming in? You can check your sendgrid account to see what has been sent and the status of the email (has it been delivered/bounced/opened). For those who have answered “No” you may think that Facebook won’t fit into your business model, or it won’t reach the correct audience. Or perhaps you tried it years ago, and your efforts were unsuccessful. We are here to say give it a (or another) try! Below are the top 5 reasons why you should start using Facebook advertising. Marketers and businesses are spending more and more on social media advertising. In fact, it was predicted that U.S. social advertising spend was to increase to $11 Billion in 2017 (up from $4.7 billion in 2012). In fact, 96% of social media marketers use Facebook and believe that these ads produce the best ROI for their clients! Some big name brands, as well as some small businesses (both B2C and B2B), have seen massive returns on these ads! Facebook is truly amazing for advanced audience targeting. Unlike Google AdWords, which has a limited interface for audience targeting, you can narrow down your audience on Facebook to their interests, demographics, locations, behaviors, likes, and visits to your site. This is extremely useful if you know your target audience. Not sure who your target audience is? You can experiment exposing your ads to different audiences and compare! Now, remarketing is not something unique to Facebook, but this is an excellent feature that Facebook offers for even more advanced targeting. What is remarketing? You can embed a code from Facebook that can track users that visit your site and then display your ads to these users on their facebook. I’m sure you have experienced remarketing in the past – you visit a website once and their ads follow you all over. If done correctly, your traffic from remarketing will be more effective than campaigns with no remarketing. This is because the user is already familiar with your brand and product/service. Although there will always be a place in the market for AdWords, and other PPC campaigns, Facebook ads can be as cheap as a couple of cents per click or per impression (based on what you decide to target your ads for). Once optimized, these campaigns can be extremely effective (see point #1). You can start seeing results with $100 or less! You can customize your ads based on what your ultimate goal is. Do you want to get more page likes? Do you want someone to click on a link to your website? Are you looking for brand awareness? There is an ad type for that! You can also choose to show a carousel of images, display a video, or a static image and more! They are constantly adding more ways to display your ad content for more engagement. Not sure which one to use? Run a few campaigns and compare their effectiveness! 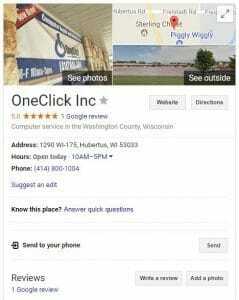 As a company that helps clients with website design and marketing, including SEO and social media services, OneClick believes in the importance of Google+. Many of our clients, however, wonder whether or not posting on Google+ is necessary. Although the number of active Google+ users consistently falls behind popular social media sites like Facebook, Instagram, and Twitter, it can still give your business a leg up on the competition. Since Google dominates the search engine market, and Google+ is their social networking site, Alison Zeringue of Marketing Land suggests you “play in their sandbox.” Having a Google+ page for your business means staying ahead—or above—the competition in Google search results. 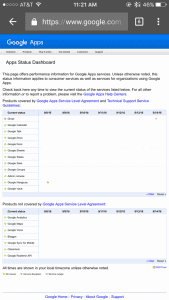 Google+ is, of course, linked with Google, the most popular search engine. But Google also owns YouTube, the most popular video website and one of the most popular social media platforms, as well as their email service Gmail, which has over 1 billion users. Connecting Google+ posts with YouTube can mean that your posts—in this case, videos—will be seen by more people. And if any of your target audience uses Gmail, they can see your Google+ posts integrated right into an email. Not only is this feature visually appealing, but it includes easy, clickable links, as well as a ‘follow’ button and recent posts on your business’ Google+ page. From “Knowledge Graphs” to Google My Business, Google+ is an integral part of marketing your business online for search engine optimization (SEO). That’s why OneClick recommends creating a Google+ profile for your business and posting to it regularly, just like we do for our clients! Happy posting! 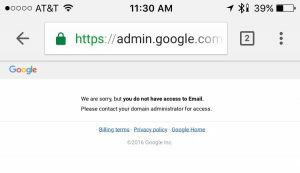 Beware of spam callers calling your business claiming to be Google (or third-party representatives of Google) saying that you need immediate SEO help or else your site will be shut down or blocked from search engines. This is not Google, but a scam to look out for. One Click, Inc. has been notified by clients that these calls are sometimes received shortly after launching their new website. This is, in fact, a sign that your new site is being seen on Google, and fly-by-night opportunists are hoping to take advantage of the new launch by asking you about your website and financial information and trying to sell you something that you are already paying for; however, these scammers will not and cannot deliver the services they are promising. They often use jargon, threats, and urgency to attempt to extract money from individuals over the phone. Some scammers will use tricks that might boost your rankings for a day or two, such as stuffing pages with an unnecessary quantity of key terms; however, Google knows this trick and will quickly push your website to the end of the results when someone tries to run a search for your site or its contents. 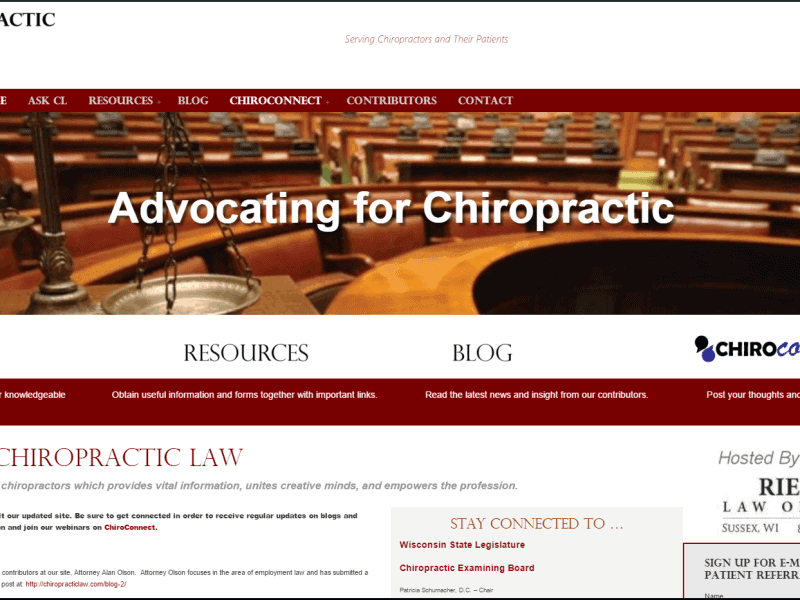 In some cases, your website will no longer show up in search results at all. Do not be a victim of this scam. Stick to a professional brick-and-mortar agency that you can reach out to and meet with at any time. At One Click, we are a full-service, brick-and-mortar website company! These are promises we make to you here at One Click. We use conservative, “white hat” SEO methods that strictly follow Google’s guidelines for search engine ranking. As those guidelines change several times per year, we keep an eye on things and make adjustments as needed to maintain or reclaim your rankings (should one of Google’s updates negatively affect your website’s rankings). As we play by the rules and stay up to date, we have yet to have any of our clients severely negatively impacted, whether by Google’s changes or our own SEO practices. Unlike scammers, One Click will not use tricks that will push your website to the back end of search results, nor will your website ever be banned—not on our watch! If you receive one of these phone calls or submissions to your website’s contact form, do not provide the sender with any personal or financial information. To protect yourself, One Click recommends that you hang up, or simply don’t respond. On Tuesday, June 27th, a new malware cyber attack called Petya was launched across the world. Another malware called GoldenEye was thought to be responsible, but was discovered to be a different malware that’s similar to Petya, having borrowed Petya code. The Petya virus is mostly a concern for businesses, big and small, especially if a business uses Microsoft Windows/Windows PCs. It spreads from computer to computer by taking advantage of the EternalBlue exploit, and was said to have started from a Word document attachment. PowerShell Scripts might have also been used to generate the attacks. Within the first couple days of its release, the Petya cyber attack affected multiple countries and infrastructures, such as Merck in the US and Chernobyl in Ukraine. It has also affected Germany and Norway. This malware attack is considered particularly dangerous compared to other attacks, due to its elevated level of aggressiveness. It is also similar to the WannaCry attack in its speed and number of infections, and that it uses WannaCry’s self-propagating feature on top of its own layers of encryption. To read more about how you can protect yourself and/or your business from malware attacks, click here.